The Athletic Department at Glenwood R-8 was recently named as a recipient for one of five $500 grants from McDonald’s Restaurants of Southwest Missouri. Local McDonald’s Restaurant owner, Andi Hilburn-Vianni, is shown making the donation to Glenwood Cross Country Coach Stacy Kutter, who applied for the grant. 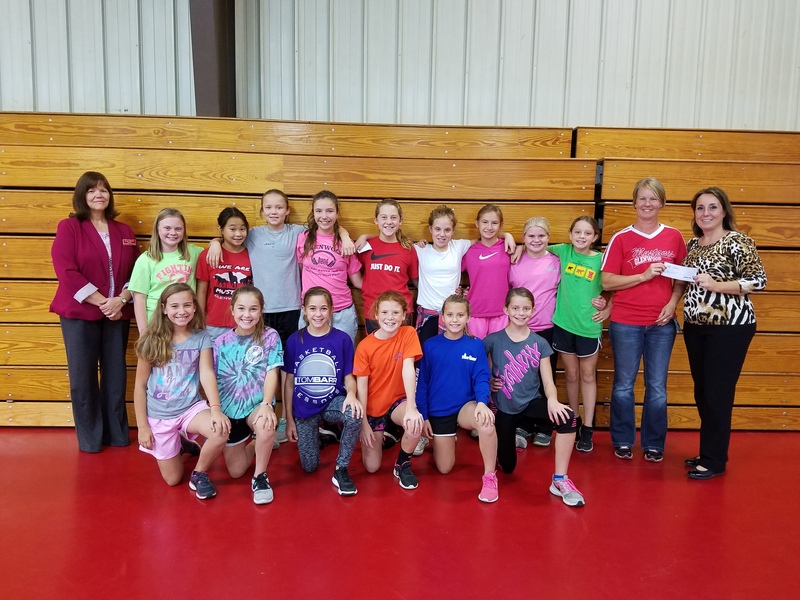 Elementary Principal Karen Moffis is also shown along with a fifth and sixth grade girls’ physical education class from the school. Coach Kutter plans to use the award to help fund the 100 Mile Club for Glenwood’s cross country runners.